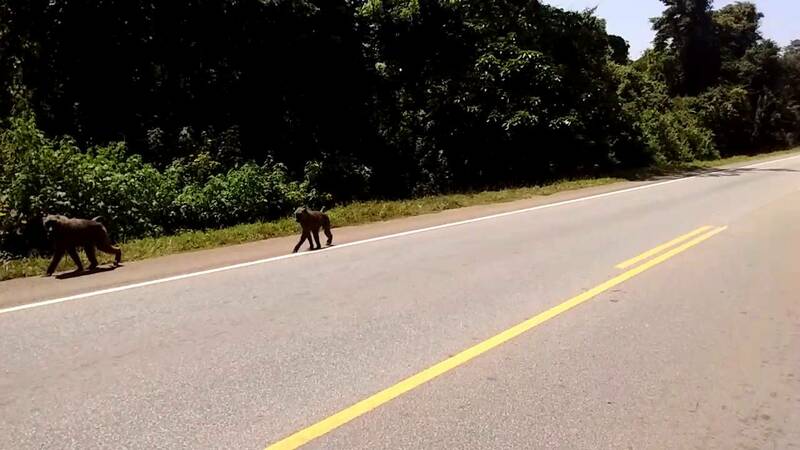 These baboons are walking along the road in Busitema forest in Uganda often fed by travelers with some food. We do not advise feeding baboons on the road as that creates their habits and changes their life style. Food is there enough.